Dutch doors appoint each room allowing our guests to enjoy the fresh ocean air. 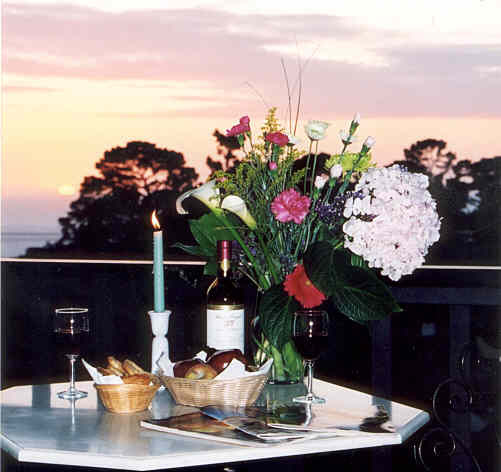 Our guests watch glorious sunsets over the Pacific Ocean from the privacy of the inn's decks or rooms. Some rooms and most suites have fireplaces, private balconies, wet bars or kitchens. The Hofsas House is located three blocks north of Ocean Avenue, eight blocks from the picturesque white sand Carmel beach and one block from a child-friendly City park. There is plenty of off-street parking and guests delight in walking everywhere in Carmel from the inn. Enjoy a continental breakfast in the morning with French Roast coffee, tea, fresh pastries delivered from a local bakery, juice and fruit. 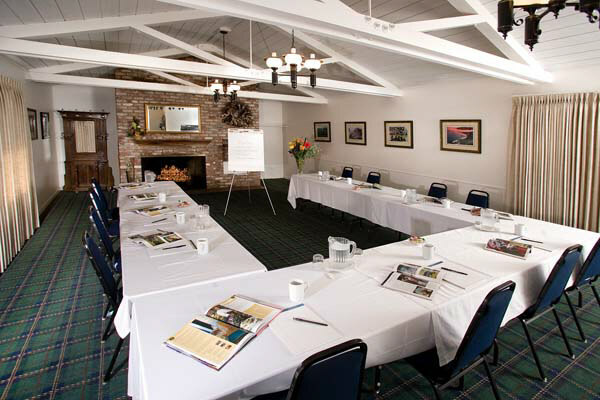 Other amenities include a heated swimming pool, dry saunas, view deck areas and free wireless Internet access. Some rooms are dog friendly. 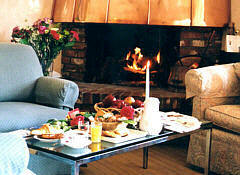 Casual elegance, personal service and traditional family hospitality are the trademarks of Hofsas House Hotel.